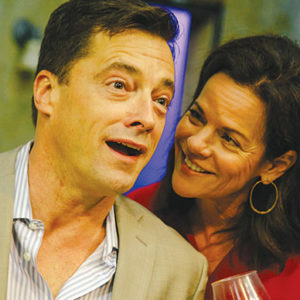 Blake Boyd and Marlene Galan star in “The Things We Do,” a production running from Saturday, April 6, through Friday, May 12, at the Odyssey Theatre. The play is a painfully funny look at modern relationships and asks the question, “Once trust is broken, how do you get it back?” In the production, Bill falls for Sarah, but she is married to Ted. Ted might be a good match for Alice, who is married to Bill. Showtimes are 8 p.m., Friday and Saturday, 2 p.m., Sunday. Tickets start at $15. 2055 S. Sepulveda Blvd. (310)477-2055 ext. 2, odysseytheatre.com.